You can be part of anyone's team! 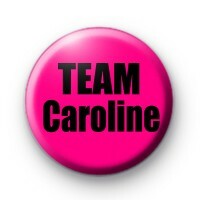 So who whose name would you like on this pink and black TEAM badge? It can be customised with any name you'd like. It is a great badge for events & school tournaments.